These guys are going to be throwing punches by the end of the year. Ah, Twins. You tried so hard and looked like you had so much potential. Lots of prospects, a few new free agent signings to upgrade your roster in a tough division. Now two of your starters are gone and you’ve got some Weekend At Bernie’s type thing going on with Torii Hunter out in right field. Just keep waiting until your prospects are ripe, I suppose. This has been totally brutal to write, because this team is soooooooo boring. There are lots of okay guys who could be components on a competent team, but no one really jumps out at you as great. Lump them all together and you get a 70-win team. Good ol’ Kurt got a new lease on life last year when he was traded to the Twins from the A’s. He’s rewarded them with an All-Star 2014 campaign (though it should be noted that the All Star Game was played in Minnesota and they didn’t have a lot of All-Star caliber options to choose from). Joe Mauer is a Cretin! As in, he went to Cretin High School! Mauer is an aging perennial All-Star who’s starting to regress a bit, still alright, but he put up the worse numbers of his career last year. Why does he not have the nickname Bull Dozier yet? Get with it, Twin City fans! Off to an ice cold start to the season, along with some shoddy defense to boot. He had an insane year last season, his first. BABIP seems to be an important factor there … meaning lots of his hits last year were poorly fielded or just were hit into very convenient spots where there was no one to field them. A tiny man who should get some starting time when the other option is Oswaldo Arcia. Another team’s fourth or fifth outfielder (hey Twins, you’re only supposed to have one of these guys). When Jordan Schafer’s one of your starters, things are not going well. Looks like a douche, fields like a douche. Another team’s fourth or fifth outfielder, he will probably split time platooning with Oswaldo Arcia (whose glove can’t be trusted). Hunter returns to the organization that he came up with, although in his 40s now and with worse defense and with a much lighter bat. Probably shouldn’t be starting every game at this point in his career. He’s been okay so far, and hey. He probably won’t get tired for a couple more months. Yeesh, not a team that needs bad luck. Two of the guys they were counting on are out for the foreseeable future. The back end has been okay so far, defying expectations. Has been off to a slow start this year, and is fighting a cracked fingernail. When your job requires putting lots of pressure on your fingers, this is a bad thing. Not good signs from the one consistent-ish pitcher the Twins have. Erv will spend the first 80 games of the season serving a PED suspension. Who knows how he’ll fare after sitting out half a season and then coming back without his mojo juice. I guess he’s not really so “Magic” after all. 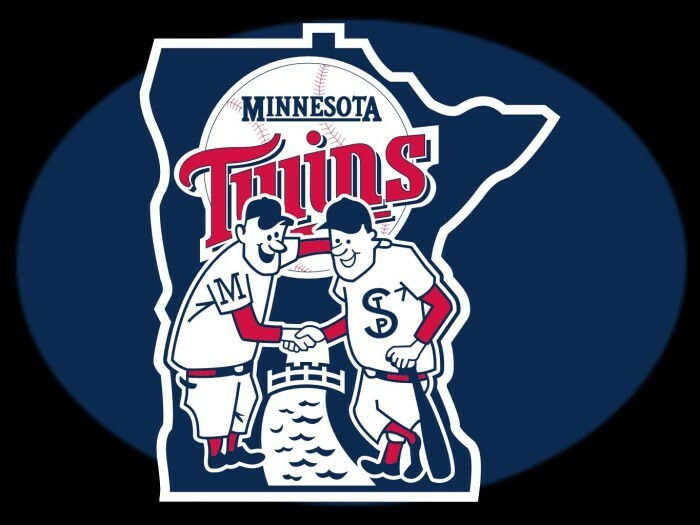 The Twins were hoping Nolasco could step it up after Santana was suspended, but then he went out with an elbow injury. He is scheduled to start a rehab assignment, and could be back in a few weeks. It’s still possible he isn’t very good, though. He’s an interesting guy. He either throws a gem with ERA of like 1.50 or he gets absolutely crushed with an ERA over 5.00. It’s a coin toss on which version shows up every 5th day. Okay starter who the Twins picked up in a trade with Oakland for Sam Fuld. He’s been a boon to the rotation so far, because there are not a lot of bright spots here. Made some headlines early in the year bitching about how he wanted to be in the rotation and not the bullpen. Two injuries and a suspension later, that’s a moot point. He has not been good for the Twins since signing with them in 2013. Another okay guy who was a prospect with the Phillies but was traded to the Twins for Ben Revere. He’s been mediocre so far, which is good enough for the Twins! Not a lot of major league talent after Perkins and Fien. Glen Perkins, Closer This will be the third year this longtime Twin will be closing out games for Minnesota. The club has said that it’ll use him in situations other than the save this season due to the rest of the bullpen being terrible. Casey Fien, Setup Man Ugh. Whyyyyyyy are the Twins sooooo boring?! Another mediocre white guy on a team of mostly mediocre white guys. J.R. Graham Raw Rule 5 pick who broke Alex Rios’ hand the first time facing a batter in the majors. You could say he lacks command. Tim Stauffer He’s also boring, and not very good. Blaine Boyer This guy’s bounced around all over, even spending a season in Japan. He signed a minor league deal with the Twins in Spring Training and made the club because there weren’t many options. He’s got a 15.00 ERA a couple weeks into the season and I’ve watched him blow two games wide open. Brian Duensing Another not good, boring white guy. He’s a lefty and is on the DL, too. Oswaldo Arcia OF He will see quite a few starts this year, platooning in CF and LF. His defense is atrocious, but he can kinda hit. Chris Herrmann C Sometimes he DHs. His major league batting average is .201. Eduardo Escobar SS There will be a day when all major league starting shortstops have the last name Escobar, mark my words. Eduardo Nunez UT He did not replace Jeter as the Yankees shortstop, and is now a super utility guy for the Twins. The Twins are sort of where teams like the Royals and Cubs were a few years ago. They’re playing the waiting game until more of their highly touted prospects are ready for the big leagues. That means a couple more embarrassing seasons and lots of losing in the meantime. It also means they can do fun things like bring back Torii Hunter for a homecoming / love fest even though he really shouldn’t be an everyday player. Also, I like Kurt Suzuki and it’s nice for him to be someone’s starting catcher. Byron Buxton it could be argued that he’s the top prospect in baseball now that Rodon and Bryant have been called up. The Twins could use the help in the outfield, but he might not be called up until September. Miguel Sano is also a huge prospect, but Trevor Plouffe is one of the few good players in the starting lineup and for now is blocking him at 3B. If he has a solid season, he could be traded for some pitching help and the Twins could bring up Sano late this year or as a starter next year.